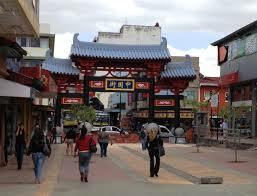 There is a sizeable Chinese community in the Puntarenas area and in San José. Recent Chinese immigrants are coming from Taiwan, many of whom have established businesses in Costa Rica. On 5 December 2012, San José officially inaugurated its Barrio Chino in the city’s Catedral district between Avenidas 2 and 14, along a street formerly known as Paseo de los Estudiantes. The new Chinatown includes a 550-meter pedestrian boulevard and a Tang Dynasty-style archway. This new Chinatown development will include restaurants serving oriental food and retail stores selling oriental artifacts, medication and other products.